J200GDDU1AOI3 Android 5.1.1 Lollipop official firmware for Samsung SM-J200G (Galaxy J2) is out and the users can now manually download the firmware zip file from here at NasirTech. Samsung time to time releasing software update for all their Android Smartphone and tablet devices and it is always recommended to update the latest available firmware for your device as with every new firmware version Samsung introduces fixes for bugs (if any), improvement in overall OS performance and sometime introduces new features. Continue reading this page to find J200GDDU1AOI3 download link along with flashing instructions and rooting guide (if available). There are several ways by which you can update the DDU1AOI3 firmware on your Galaxy J2 J200G such as- through Samsung Kies utility (from your PC), Via OTA (Over the Air, directly from your device using WiFi) and Odin method (manually download firmware and flash through Odin). Below you'll find all the three methods. Kies and OTA are the official way to update firmware but most of us prefer manual way to update official firmware. So, below you’ll find step by step manual guide to update the DDU1AOI3 5.1.1 Lollipop firmware on your Galaxy J2 J200G through Odin software on your PC or Laptop. 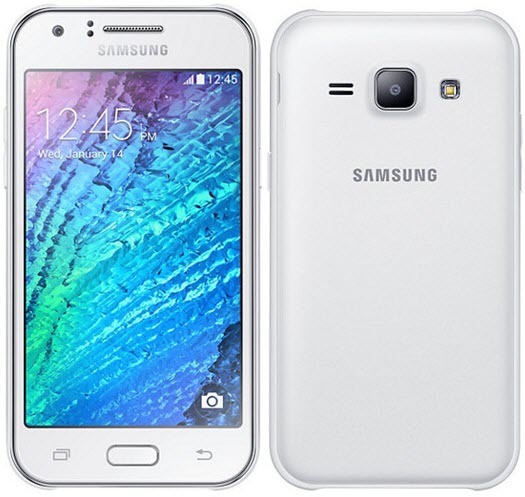 "The firmware is released only for the Samsung Galaxy J2 SM-J200G model, so don’t try this in any other android device. Check your device model number from Settings-About Phone. Also the tutorial is based on Windows PC. NasirTech is not responsible if anything wrong happens to your device after following this guide, try this at your own risk". 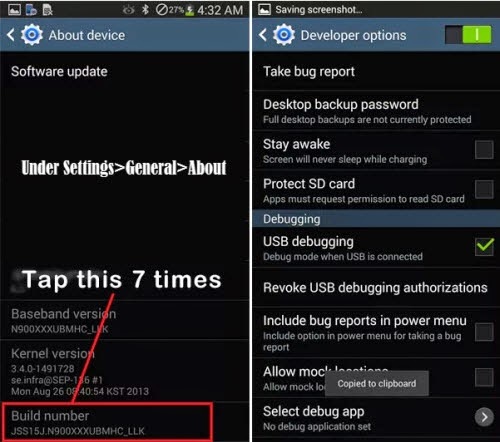 2) Turn on USB Debugging mode, go to Settings-General-Developer Options (As the Developer options are hidden by default on all Android device running on Android 4.2 or up, So go to Settings-General-About on your Samsung and tap Build Number for 7 times to visible the Developer options.) See the image below. 5) If your Galaxy J2 J200G have any Custom ROM installed such as- CyanogenMod ROM, ParanoidAndroid ROM, AOKP ROM, SLIM ROM, PACman ROM, Avatar ROM, Omni ROM, LiquidSmooth ROM, Beanstalk ROM, Carbon ROM etc, then it’ll be replaced by stock firmware. 7) After flashing official firmware, your device will no longer belongs to rooted device. However you can root your device any time after flashing the firmware. 3) Switch off and boot Samsung J200G into Download Mode by pressing and holding the Volume Down+Home+Power buttons (long press until the boot screen appear), now press Volume Up key to proceed to Download Mode. 6) In Odin3 screen, you should see a COM Port number like “0:[COM7]” at ID:COM section and “Added!” text at the message box. This means your device has been detected by Odin3. 7) Make sure that, only the “Auto Reboot” and “F. Reset Time” options are checked in Odin. 10) Now, click on the Start button to begin the installation process, wait few moments. Hope you successfully completed the update process. If you followed everything as mentioned in the above tutorial, then your device should now running on Android 5.1.1 Lollipop build version number DDU1AOI3. You can verify the firmware update details from Settings-About Phone.